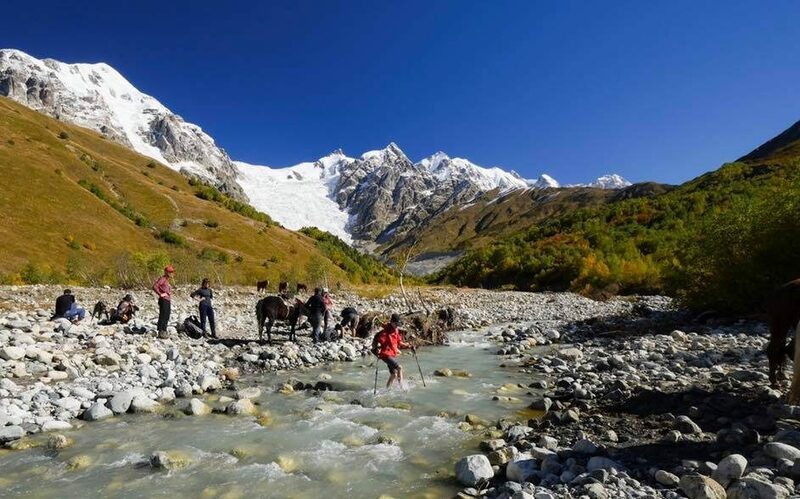 Trekking from Mestia To Ushguli is most Popular Trek among foreigners. Even though its very interesting route worth every day, its still not the wildest one. 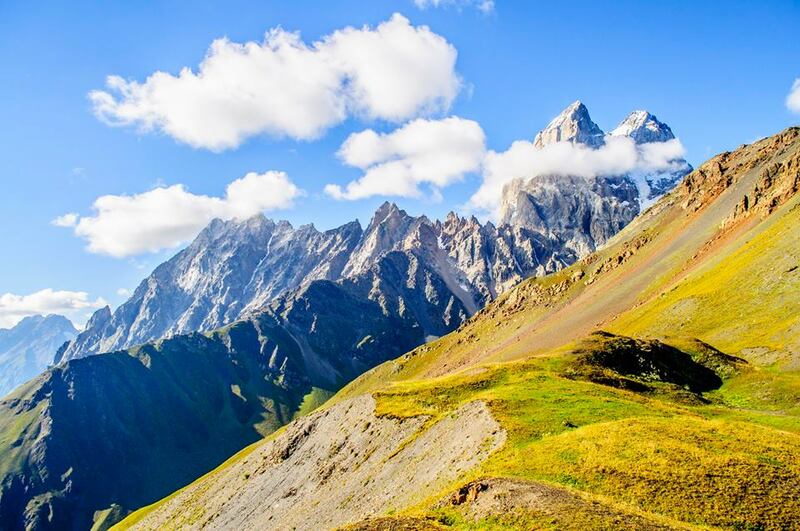 Even in Svaneti you can do some more interesting combination of hiking including some of the sections of this trek and some other hikes and treks depending number of days. I will discuss the trek itself and its alternatives here. 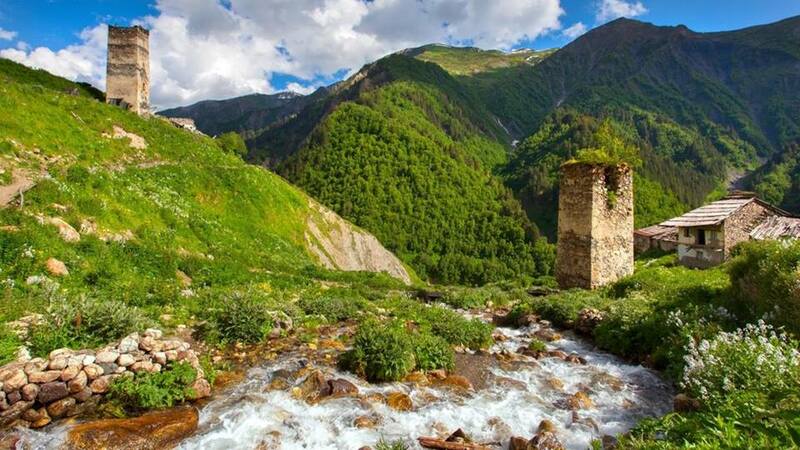 Generally if you are looking for a trek where you can meet other tourists, which will cost least, the most convenient route with exotic villages, then Mestia-Ushguli is the one. 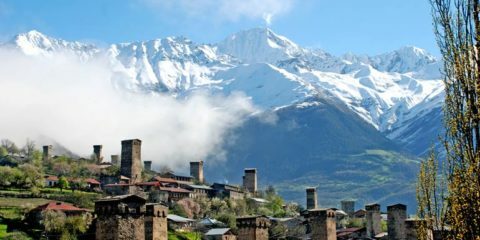 Classical 4-5 days trek starts from Mestia, where you can get by arranged car, cheap flight to Mestia or night train to Zugdidi + bus to Mestia which waits for train. You can reserve the first night in Mestia, other nights will be reserved by Mestia guesthouse or your guide if you will get one. All the guesthouses on the route offer 2 times food + lunchbox for 50-65 gel per person including 3 times food depending on guesthouse’s quality and location, but some nights especially in high season some of the guesthouses might be crowded by tourists and there is always chance that you get in the guesthouses which are kind of network of relative’s guesthouses. You will need to pay for river crossing in Adishi by horse (which is 50 gel for shared group). The other cost you will have is to take shared taxi from Ushguli which costs 30 gel per person (but 200 gel for the car), so if you see you are traveling with some extra seats ask driver to take extra passengers in Ushguli. So overall, as you dont need transportation from and to start of hikes, then its surely the most convenient and cheapest trek possible. You dont need to carry your luggage as you sleep in guesthouses and not in tents, and you can leave some of your luggage in Mestia guesthouse where you will return to sleep for the last night before departing to Tbilisi/Kutaisi. Regarding guide, of course, its not must, but with guide, its more convenient, of course if guide speaks enough language to explain about summits and glaciers, elevations ups and downs, some culture and history of villages, also help you with guesthouses booking and finding, arranging car etc. The first day of the hike is Mestia-Zhabeshi. 16km route is just 700m up, 1 pass crossing still + some flat road between beautiful villages, so its an easy start of trek to get used to elevations, hiking. 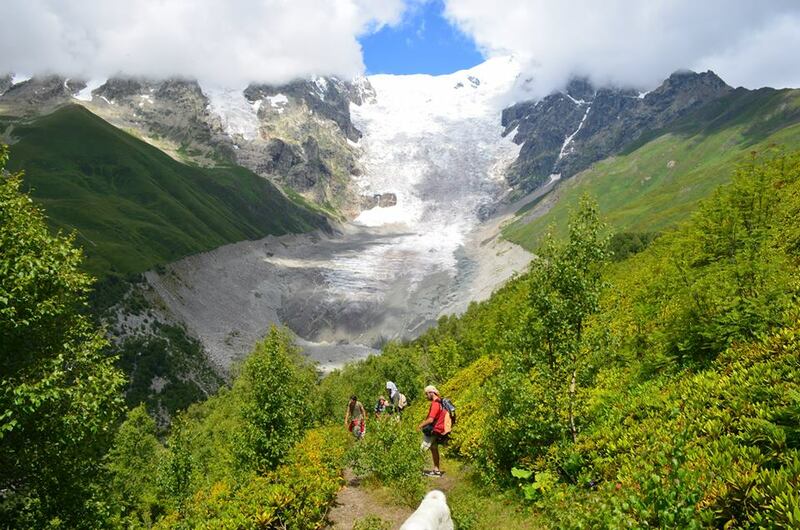 But there is also an option to skip it, and devote 1 more day to some more impressive hikes (or hike to the panorama ridge and descend to Zhamushi village – expert level ). 50 gel is tarriff for taxi to get to Zhabeshi and start hiking from there. You dont have to cut but you can simplify the second day as well by taking taxi (120gel+-) to Tetnuldi resort so you could cut +900m elevation. This is recommended especially if you have kids or those who cant hike well with you. Just descending may take 2 hrs maximum. Total hike may be up to 11km 5hr. Third day of hike is the most impressive. 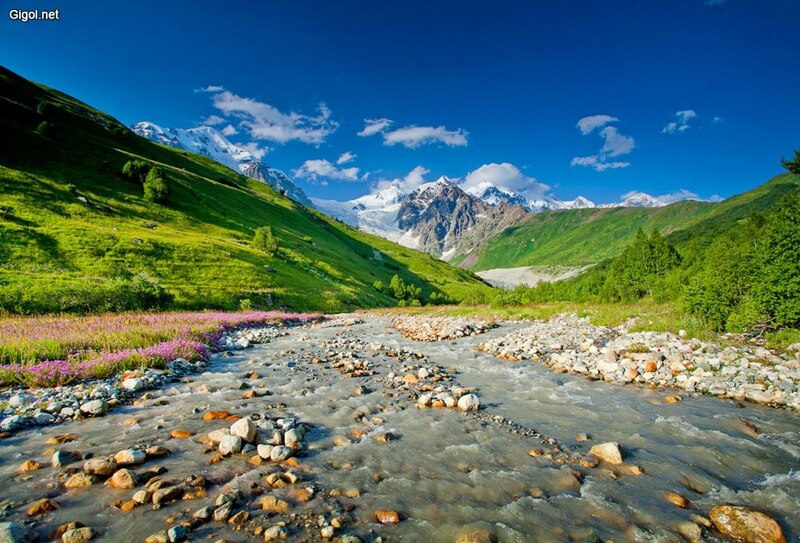 Leaving beautiful, exotic village Adishi from the middle ages, beautiful river gorge, crossing river, ascending Chkhutnieri pass, where 360 degrees panorama waits for you and you see most beautiful glacier from above. Then you descend in hero village Khalde. In the 19th century village alone decided to resist against Russian empire. Then it was prohibited to settle there. Generally, most guesthouses are located in Iprali, so last day of classical trek is Iprali-Ushguli. Dont hike on the main road, its crowded and dirty, if you have guide he can take you across another pass, or take gps track. 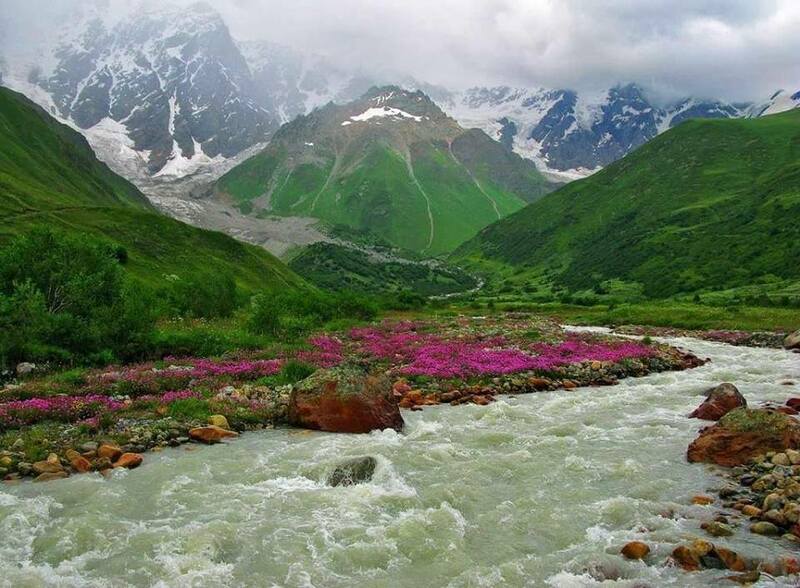 You can also take a car to Ushguli and sleep there and do Shkhara glacier hike Or Ushguli-Kala hike (ascending latpari pass). 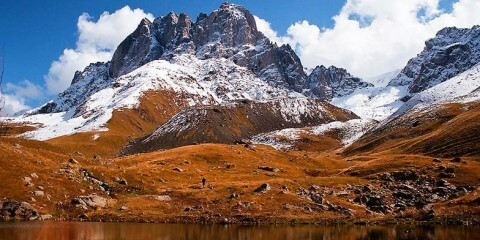 If you want to go wild and do camping, you can always do Tobavarchkhili lakes trek or other route of alpine lakes, or hiking/non-professional alpinist route towards summit Lahili. It has enjoyment version of 3-day camping, or hard route of summit climbing also in 3 days. All these need camping and carrying luggage/horse. And in case of more time, other dayhikes or sections of guesthouse-to guesthouse trek can be added. 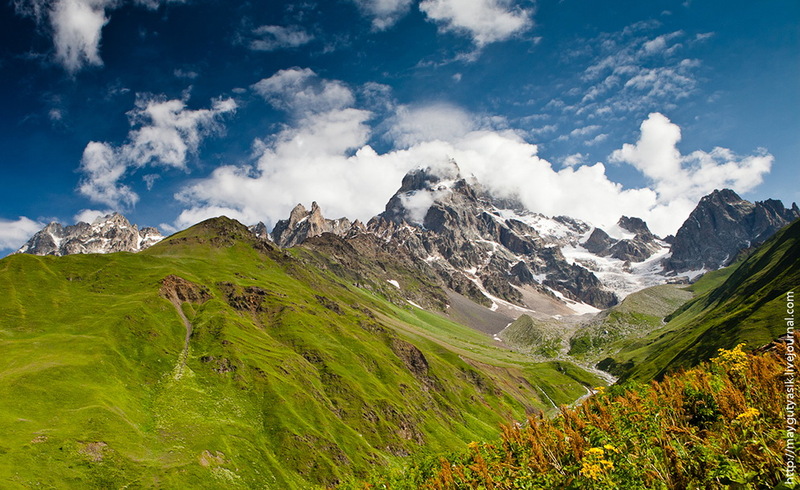 Guli pass (Mazeri to Mestia) and Ushba glacier (including Shdugra waterfalls hikes= 2 days; Starting from Meziri (Baki Pass) = 3 days to Mestia. Koruldi Lakes hike (or hike to the ridge for those who want to conquer heights). Latpari Pass hike (from Ushguli to lower Svaneti) or from Ushguli to Kala community via Latpari pass in upper Svaneti. In this case you hike on the ridge. Comparable to these are: Adishi to Khalde hike (3rd day of Mestia-Ushguli). 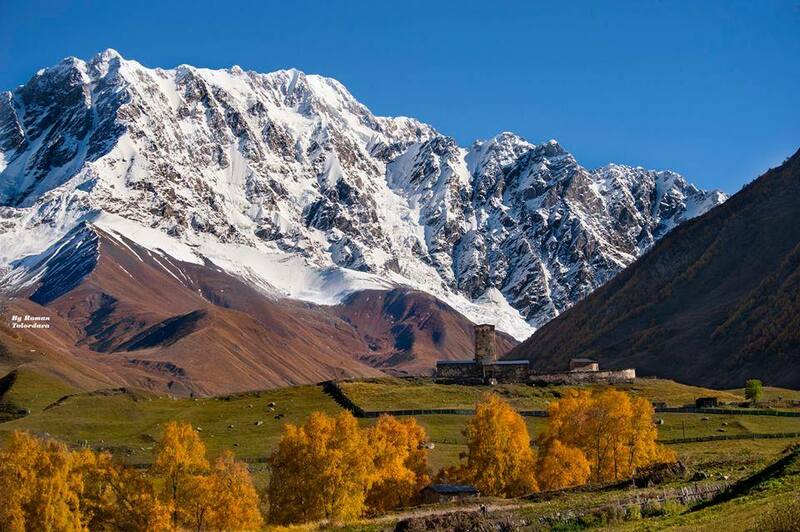 Also in any visit to the region its must to visit Ushguli whether by hike or jeeptour, generally sleeping there you get to see sunrise and sunset at Mt.Shkhara which is something, so getting there for Shkhara glacier hike or horseride is great. and Its managable in 1 day. So having car for 2 days which will take you to Adishi, wait for you in Khalde and take you to sleep in Ushguli that day, so the next day you hike to glacier or Latpari pass route is great idea. Just a day in Mestia is always good idea – for relaxation, to see the must see museum, take ride to Hatsvali cable cars and if you dont make it to any other glacier, that day you could visit Chalaadi glacier easily as it needs only 3-4km hike from the bridge. 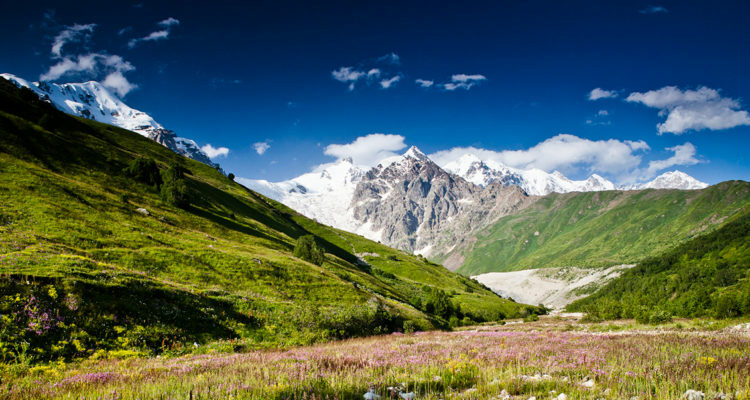 Generally its up to tourist to decide what he is going to do in Svaneti, there are easy routes for family (even easiest) such as Chalaadi glacier, Shdugra waterfalls (fully or partly only flat elevation), also walk from Tetnuldi resort for the view to Tetnuldi summit or descend to Adishi from there, Hike from Hatsvali to Tsvirmi village etc. Also there are moderate routes abovementioned, and harder routes which involve some climbing as well, Tetnuldi and Lahili are usually reachable summits. 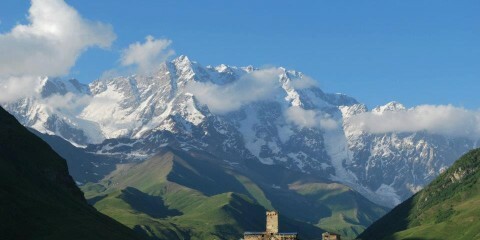 Ushguli to Shkhara glacier or Ushguli to Kala hike via Latpari pass. Remember that those altered routes are associated with some little more costs. Meanwhile Mestia-Ushguli route is still recommended alternative, with possibility to change first day only with some dayhike or change last day with Shkhara glacier or Latpari pass hikes (or adding Shkhara glacier as 5th day), but whatever you decide please remember that without hiking Mkheri in the appropriate weather, Koruldi or Guli pass, Chkhutnieri or Latpari passes, please dont downgrade beauty of Svaneti or exclude it from the list of the best areas of the world for hiking and glaciers. Mestia to Ushguli was one of the best treks I ever made. Also very easy routes to relax and enjoi. Thank you for this – it’s very helpful! I’m wondering – are the routes well sign posted and easy to follow on our own, or do we need a GPS? standard version of Mestia-Ushguli is easy to follow and is touristic in high season. Some other areas are also marked – like Ushba glacier, sometimes like gorvashi pass, mkheri, Lahili glacier gps or guide is preffered. 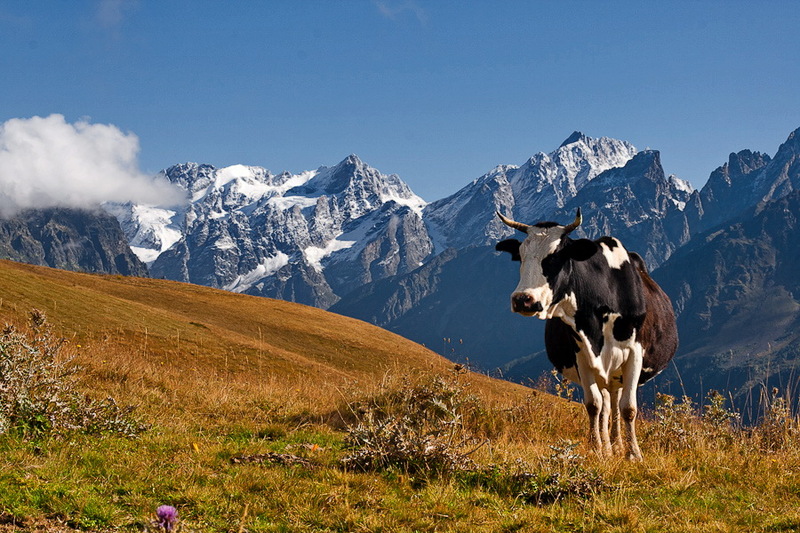 I wonder if Mestia – Ushguli trek is possible to make in late May-early June?? Since Last week of May Mestia-Ushguli trek is usually possible. However, pass between Adishi and Iprali may be closed. So staying in Adishi u will need to take a car to iprali and hike from the village up to the pass (glacier) and return back). This increases costs a bit. Anyway, when the route is possible to do and when certain pass is open (pass may not be open because of snowfalls) depends on winter.